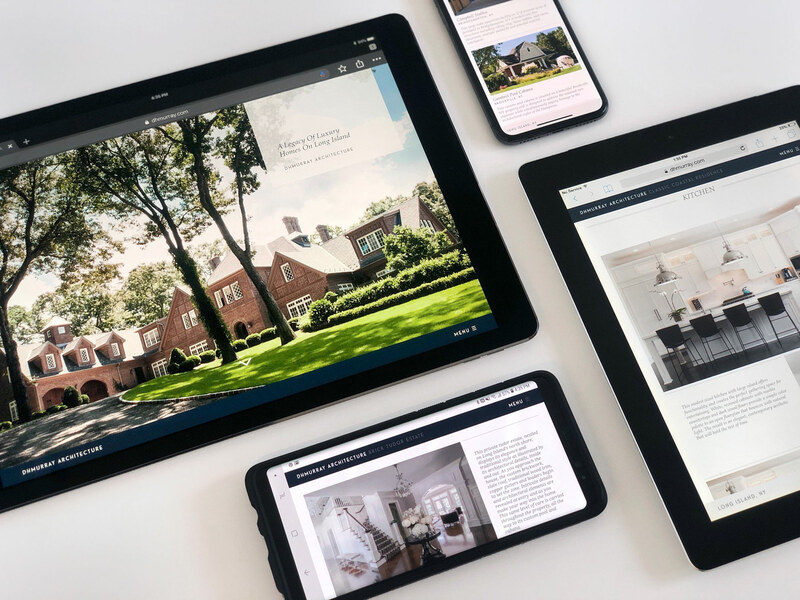 Although DHMurray Architecture has been crafting a legacy of luxury homes on Long Island for decades, the firm's branding had not kept up with the times. The architecture studio's large portfolio of North Shore traditional homes were not documented with any consistency. 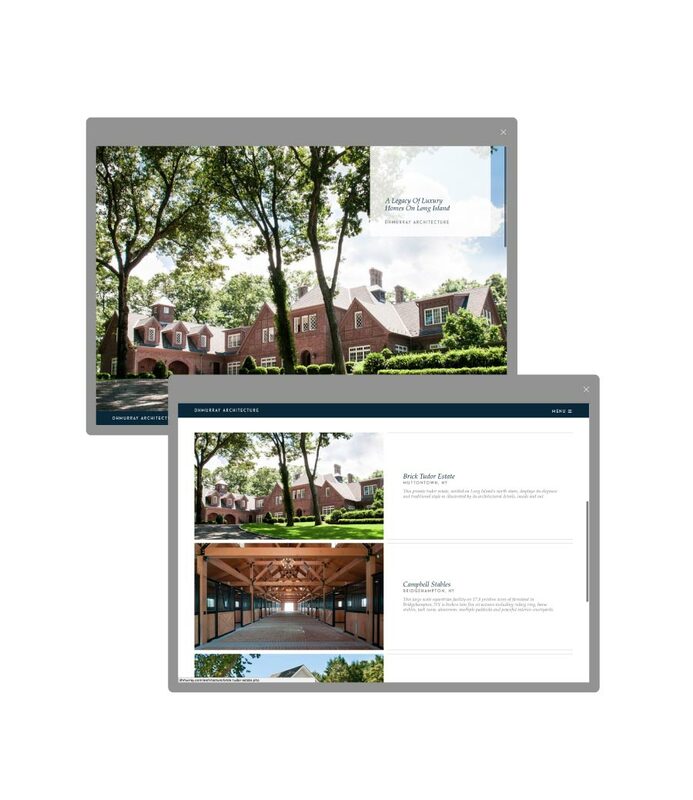 Therefore, THE UP STUDIO set out to photograph, document, organize, and write about the firms existing work while simultaneously designing a modern website and marketing material that would speak to the needs of new clients. The result is a robust portfolio of homes that span nearly 75 years of architectural design. In addition, the brand's visual identity was reimagined with a refined logomark, color palette and typography which creates consistency between all interactions a client has with the brand. This consistent aesthetic became the backbone for print collateral, stationary, signage, social media content and the website.